Save $20 when you buy 10 volume set compared to buying each volume individually! 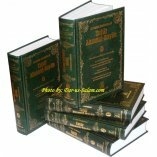 Tafsir Al-Qur'an Al-Azim, which is famous by the title Tafsir Ibn Kathir, by Al-Hafiz. 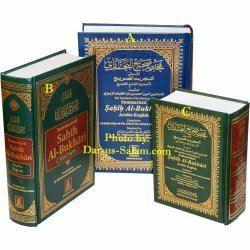 Abu Al-Fida' 'Imad Ad-Din Isma'il bin 'Umar bin Kathir Al-Qurashi Al-Busrawi (d. 774 H.), is the most popular interpretation of the Qur'an in the Arabic language, and the majority of the Muslims consider it to be the best source based on Qur'an and Sunnah. This Arabic work spans three thousand and two hundred pages in four volumes. 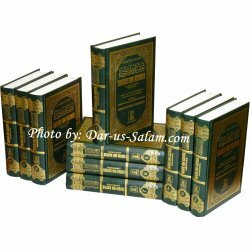 To cover all of the references, Ibn Kathir has also collected some weak Ahadith and Israelitish stories. Some repetitions also occur in it, as and when the topics required these. As Darussalam has made a policy to publish only such works which are based on Qur'an and authentic Ahadith we appointed a board of Islamic scholars to summarize Tafsir Ibn Kathir in the original Arabic language. Shaykh Abu Al-Ashbal Ahmad Shagif of Rabitah Al-'Alam Al-Islami, Makkah, and Shaykh Safi-ur-Rahman Al-Mubarakpuri, Head of the Research Committee of Darussalam worked with a team of other scholars for about two years on this project. 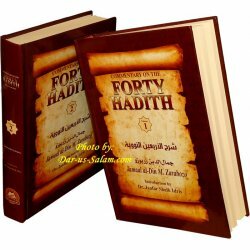 We published this summarized version in the Arabic language titled as Al-Misbah Al-Murur fe Tahdhib Tafsir Ibn Kathir. We have tried our best not to include any weak Hadith in this presentation. All the authentic sayings of the Prophet (S) have also been presented in the Arabic language along with diacritics. The only sections of the Arabic that were not translated are some discussions pertaining to Arabic words which were not pertinent to the English readers, such omissions are very few to mention. Topic headings were added throughout the Tafsir to help the readers better understand the discussion of the Verses of the Qur'an. The language and style adopted for the translation is very plain and simple. The translation of the meanings of the Verses is from the translation of Dr. Muhammad Taqi-ud-Din Al-Hilali and Dr. Muhammad Muhsin Khan published by Darussalam. The editors have made some changes in it at some places where it was necessary to comply with the Tafsir. In the whole project, the errors are from our side and from Satan while all the good is from the blessings of Allah. If the people benefit from this translation in the understanding of the Qur'an, we will consider it a great blessing and we pray to Allah for the best reward in the Hereafter. LaToya S. on 01/29/2018 AsSalaamu Alaikum. Thank you DarSalaam for you excellent and timely service. The books were in excellent condition when I received them and they came before expected. May Allah Subhana wata Allah continue to bless you all and your business now and in the hereafter. I will not purchase my Islamic reading materials anywhere else. Honesty P. on 08/15/2017 My books came much sooner than I expected, are in wonderful condition and I am very happy with this purchase. Arazoo S. on 01/08/2017 This is my first purchase from dar-us-salam website, I'm very satisfied with my purchase. 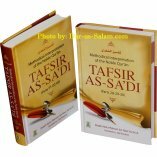 The tafsir is in detail combined from very knowledgeable scholars and imams. Looking forward to buy more books from this website. Angela P. on 10/02/2016 The website was very easy to use. I received a personal phone call to let me know my confirmation email did not go through. I was very glad because I was able to fix this problem with my email address that I didn't know about, and was worried that I had missed others. I've never had a company call me before. I ordered this set for my son who is incarcerated, he had these in his hands 12 days after I ordered. Orders from other companies never take less than 2 months. He said he felt like doing back flips when he saw them, they were a surprise gift and he says they are beautiful. We are so impressed with this company. Thank you so much for your personable, courteous, quick business!! 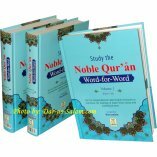 Customer R. on 07/12/2010 This book is a must for those people who want to understand the Quran in a very easy manner but in detail. May Allah reward Ibn Kathir, Shaikh Safiur Rahman and all those who put their efforts to make it a master piece. Customer R. on 03/03/2008 This is a must have in order to understand the Quran. It's spendy, but it's worth investing in! Customer R. on 05/07/2008 Understanding the Quran is a priority for all who wish to learn and succeed. 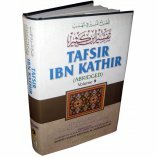 Tafsir Ibn Kathir is very well written and a great study. Al Hafiz ibn Kathir explains the verses from a more historical aspect which is crucial to lay a solid foundation. He often narrates stories related to the verses via hadith. You get an excellent insight into the text through his presentation. What I liked about the print from Darussalam in particular was that everything was far more organized than others I have read. I'm positive that all abridged versions are not the same but are similar. This version has decided to leave in narrations of duas related to certain occasions and verses. Overall this is a great buy and a must have. 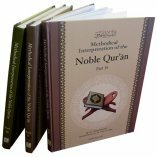 Customer R. on 06/15/2008 For the English speaker this is a must, it opens up your understanding and appreciation for the Quraan. SubhanAllah 1 line can have a 10 page story behind it. MashAllah you learn about the history of the prophets and the people of the book. SubhanAllah. Customer R. on 06/15/2008 Assalamu alaikum. I have read these books in our local masjid library and it's just great. It has enabled me to understand and appreciate the Quran better than before. 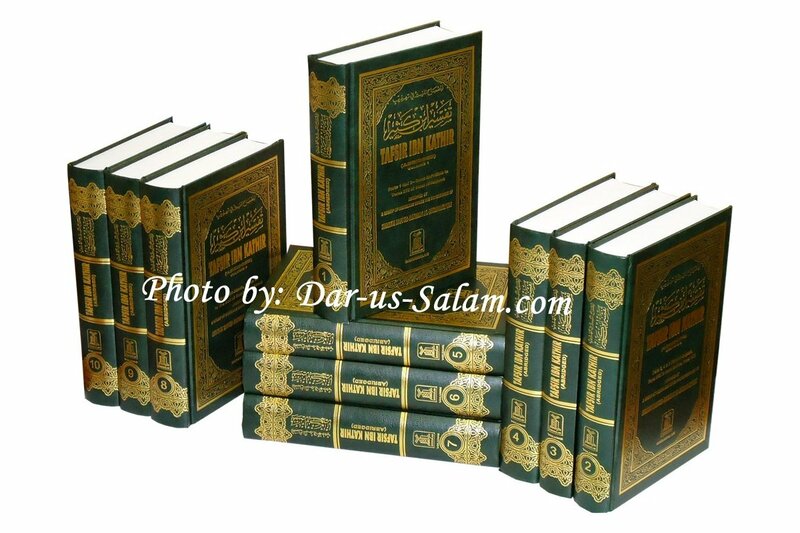 May Allah bless the Darussalam team for their hard work in making these books available to us. 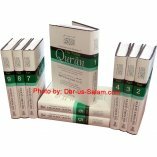 Customer R. on 07/28/2012 I have bought this set of 10 volumes a few years ago and since then I have used it a lot when I read the Quran and even when my kids memorize a sura, I use this tafsir book to explain it to them in more detail. The thing I love about it the most is that it uses hadeeth whenever possible and mentions the level of authenticity of that hadeeth. Highly recommend. Customer R. on 10/30/2010 Salam Alaikum! My name is Daniel, and I've been a Muslim for less than a year. A couple months ago I ordered Tafsir Ibn Kathir to help me along in further understanding the Quran and it has been a blessing since page one! 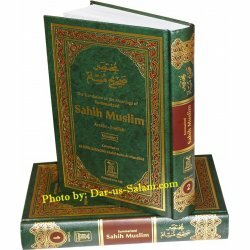 Whenever I have difficulty understanding or comprehending a Surah or Ayat, etc, or a detail thereof, I can open up any corresponding volume of Tafsir Ibn Kathir and it provides lots of useful background, meaning, etc! I recommend this set for sure! Customer R. on 12/19/2008 Asalamualaikum. This set is very beneficial mashaAllah. Ibn Kathir goes into much detail of each verse. In addition, the book also consists of lessons learned from each verse. It is very thorough. A must have for any Muslim. Customer R. on 02/12/2009 MahshAllah this is a must for every Muslim household. The value of having this collection is worth more than the money that you need to spend!